“The greatest fear in the world is of the opinions of others. And the moment you are unafraid of the crowd you are no longer a sheep, you become a lion. A great roar arises in your heart, the roar of freedom. The greatest fear in the world is of the opinion of others. 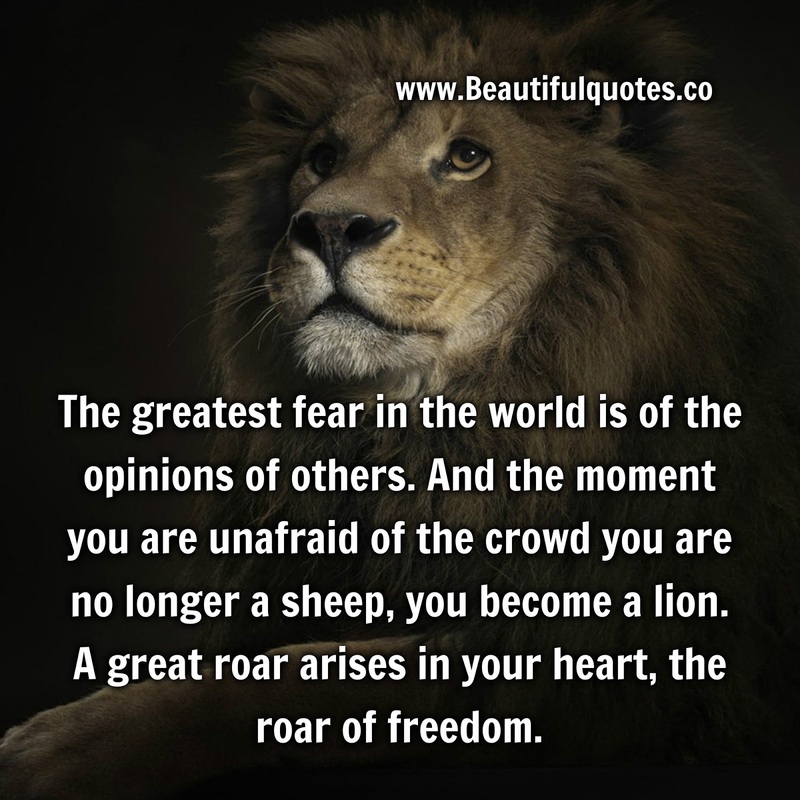 The moment you are unafraid of the crowd , you are no longer a sheep, you have developed into a lion. A great roar arises in your heart, the roar of freedom , the freedom to chart your own course in life into the unknown possibilities.